Go to the customer by clicking on All Customers from MSPControl home page, then choose your customer from list. From customer's home page click Create Hosting Space button, select your pre-configured hosting plan, type customer's domain name. 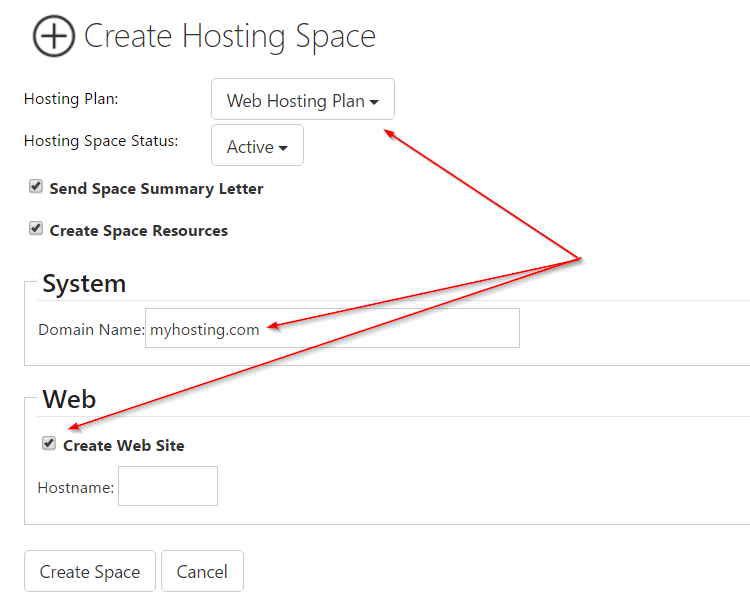 Click checkbox near Create Web Site if you want website with provided domain name to be created at the same as hosting space. Put hostname like"my" if you want to site to be created using 3rd level domain (example: my.domain.com) and click Create Space. 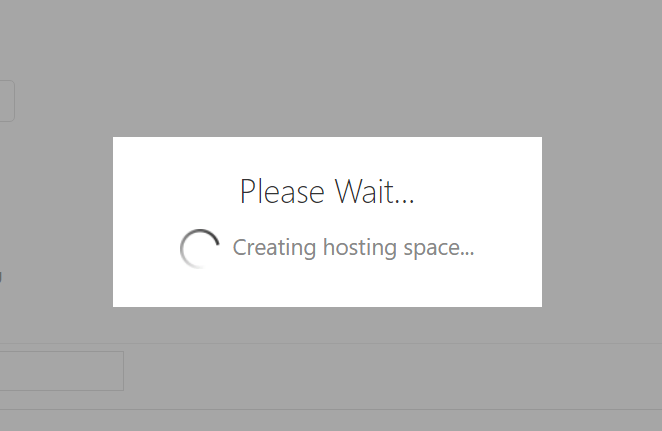 You will see Creating hosting space window. 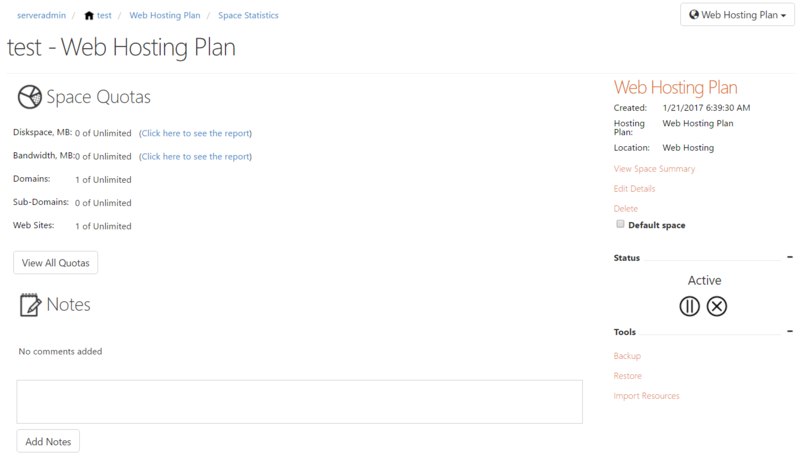 Space Statistics page will appear when done. 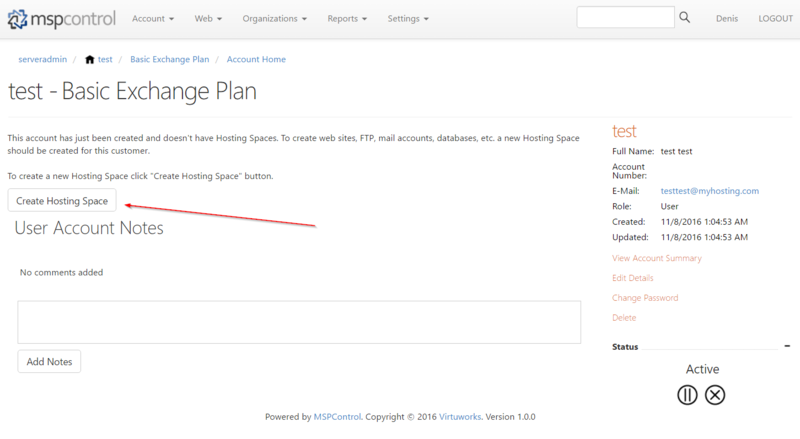 Depending on hosting plan quotas you either ready to give it away for customer or have to add some hosting add-ons to allow resources.